Sherry FitzGerald is very pleased to introduce 35 Walkinstown Park to the market. 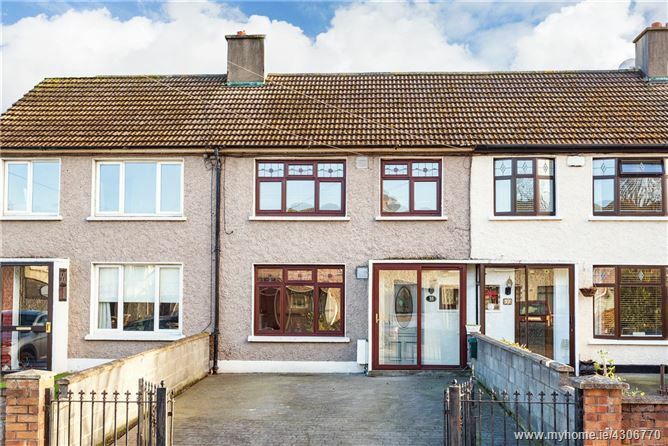 Superbly positioned in Walkinstown this property is surrounded by all the conveniences of modern living and presents a wonderful opportunity to purchase an attractive and well-proportioned two/three bedroom property with an additional attic room in an ultra-convenient location. Presented in impeccable and stylish decorative order with a bright and warm interior throughout, this fantastic home certainly provides all the ingredients for any growing modern family. 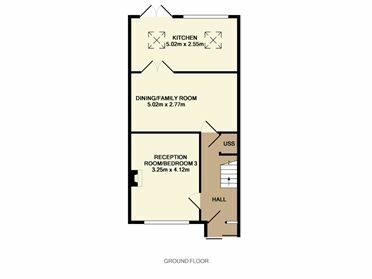 Living accommodation comprises briefly; a storm porch and welcoming entrance leading to; reception room/bedroom 3, bright living/dining room and a fully fitted modern kitchen. 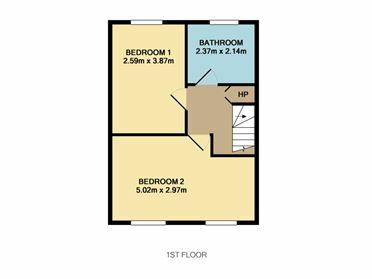 Upstairs are two spacious bedrooms with a large family bathroom. There is also the added benefit of a large attic room. The location is second to none being conveniently located within walking distance of local shopping facilities that include Ashleaf Shopping Centre and SuperValu, as well as many well-established schools. There are good public transport routes and most importantly the city centre and M50 are within close proximity. Sure to appeal to those seeking a comfortable and stylish home, viewing of this property comes highly recommended! Entrance Hall 0.91m x 4.12m. Reception Room/Bedroom 3 3.25m x 4.12m. 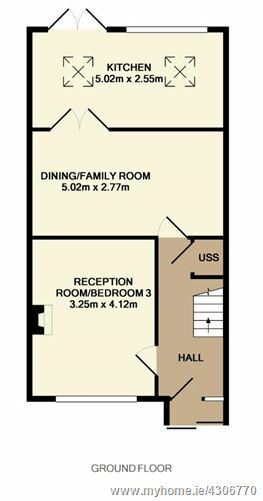 Dining/Family Room 5.02m x 2.55m. Bedroom 1 2.59m x 3.87m. Bedroom 2 5.02m x 2.97m. 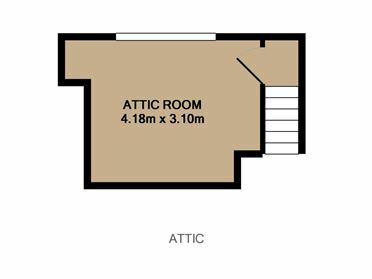 Attic Room 4.18m x 3.10m.